These are a funky functional tumbler that is hand thrown cut and altered with added feet. 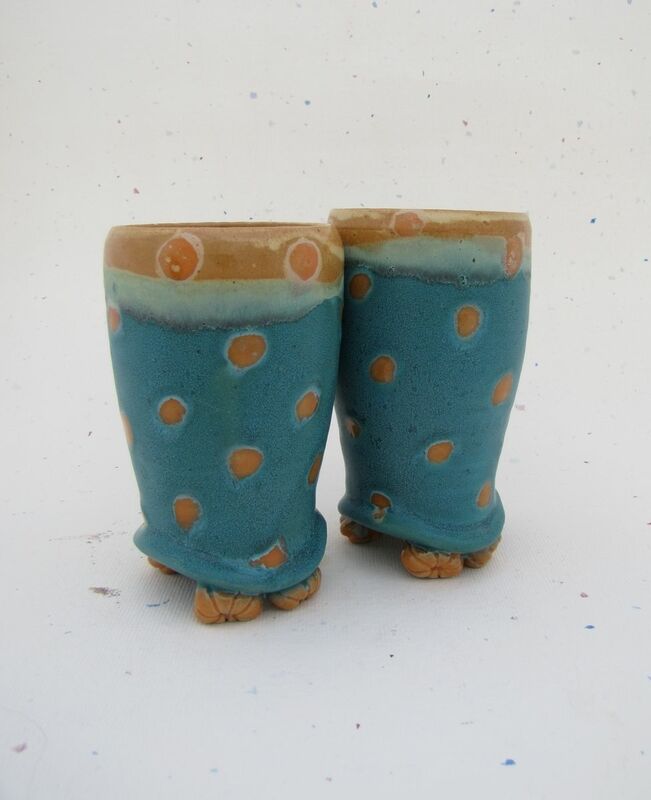 This pair is finished in orange and turquoise but they can be finished in red and turquoise, matte black and turquoise or almost any color you want if I have it. They hold 16 ounces and are great for beers, tea, water, milk anything. Sets available in any number just ask.